There are few things I enjoy more than walking down to the gardens edge to pick a fresh snack or gather a few fruits to place in the refrigerator to chill for later in the day. Spending time close to nature calms the heart and stills the mind for me. Many gardeners find their garden plot a welcome break from the pressures of the outside world. It connects them to the environment which many become detached from in the course of daily living. Watching seedlings sprout and grow nurtured by your own hand is a worthwhile and rewarding experience. By putting your hands in the soil and the subsequent bending, squatting, kneeling, twisting is a good exercise that can keep us nimble, flexible and active, making gardening a major health benefit. An even more important aspect of reward is that home grown foods are free of the residue of chemical fertilizers and pesticides that large commercial growers use and free of the long term health consequences of those poisons. The resurgence and popularity of back yard gardens is growing every year. One reason is to offset the ever increasing costs of produce. Some savings can be had from even a small plot of land or container gardens. 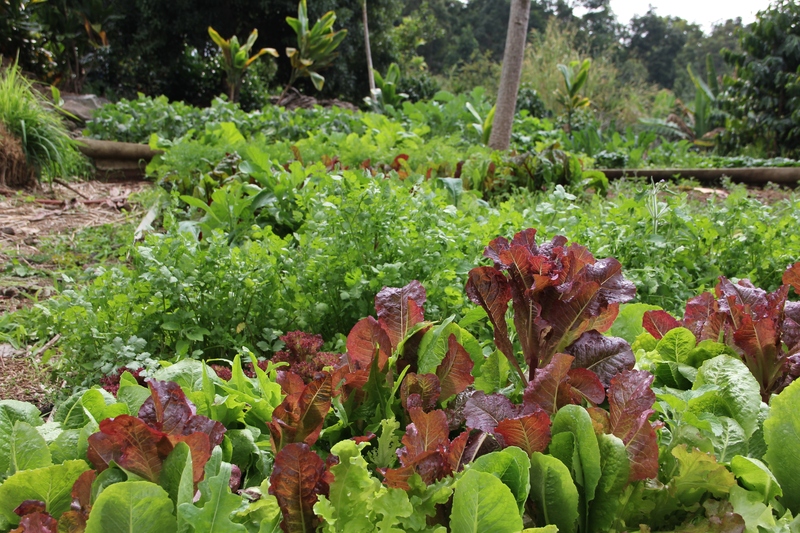 The majority of these gardens are seasonal summer crops for table greens and salads which limits yearly benefits although root crops and many other vegetables can be preserved and stored for the winter months. Having a diversity and variety of foods in our diet is key to healthy living. After a long and cold winter many people begin flipping pages in seed catalogs, drawing paper diagrams with neat rows of selected vegetables and making early visits to local nurseries. This year in your planning why not consider incorporating perennial plants like berries, nuts and fruit trees to expand your food base. The rewards are not as immediate as say a row of radish, lettuce or tomato but the long term reward is an annual harvest with little effort year after year. With planning and patience you will reap the benefits for years to come. Once upon a time, every home and homestead had a few fruit trees or even a small orchard on its property. The expansion of suburban communities over the past 50 years gave rise to a landscaping aesthetic that favored decorative shrubbery and ornamental trees over fruit varieties. Developers have also continued to shrink lot size for new housing projects over the years, to maximize density and boost profits while reducing the space available to homeowners. Many modern neighborhoods are devoid of any type trees at all. The lost habitat for animals, birds and insects is of immense consequence. We as humans are now dependent on orchards that are often thousands of miles away or further in a foreign country and subject to the whims of global markets and vagaries of a changing climate. Incorporating a fruit tree or berry bush to your gardening plan this year is well worth considering. 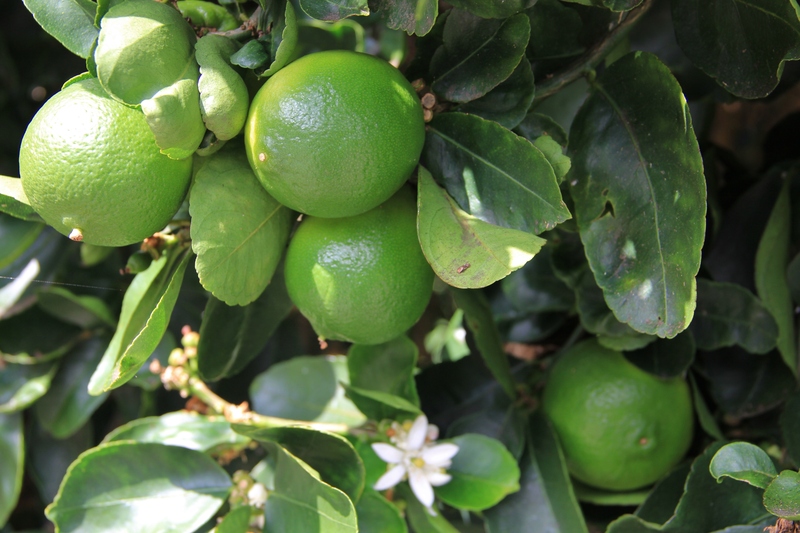 Grow fruit trees for the incredible variety and flavors. 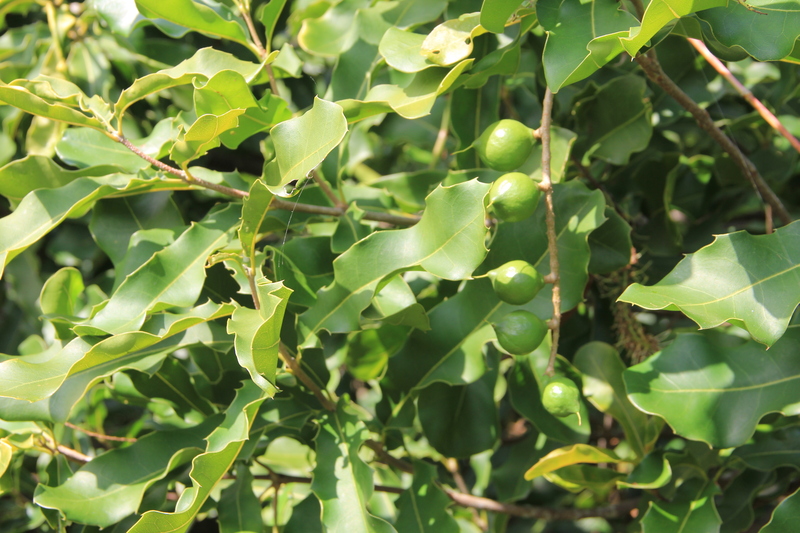 There are nuts, fruits and berries suitable for nearly every climate zone on the planet. A small orchard can advance sustainability and a single tree can expand your food base for better health and nutrition. 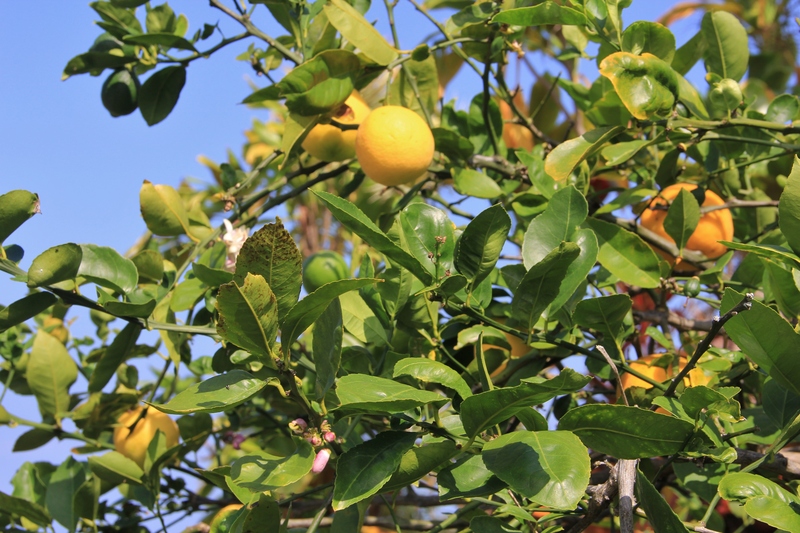 Think about growing fruit trees that bear sooner. An orchard-sized apple tree can take 10 years to bear fruit—too long for some homeowners to consider it a worthy investment in time. But today there are many dwarf and semi-dwarf apple, pear and other types of fruit that can produce in half the time—some in just three years. Now is a good time to start – for future rewards. Grow fruit trees for a gorgeous spring show of flowers and with the flowers comes scent: apple, plum and orange blossoms are famous for it. When considering a fruit tree, pay special attention to its ultimate site in your yard, to maximize both the striking view and the sweet scent. Tangerines are one of my favorite fruits. Growing up in a northern temperate climate they were a somewhat exotic treat to be had during the Thanksgiving and Christmas holidays. 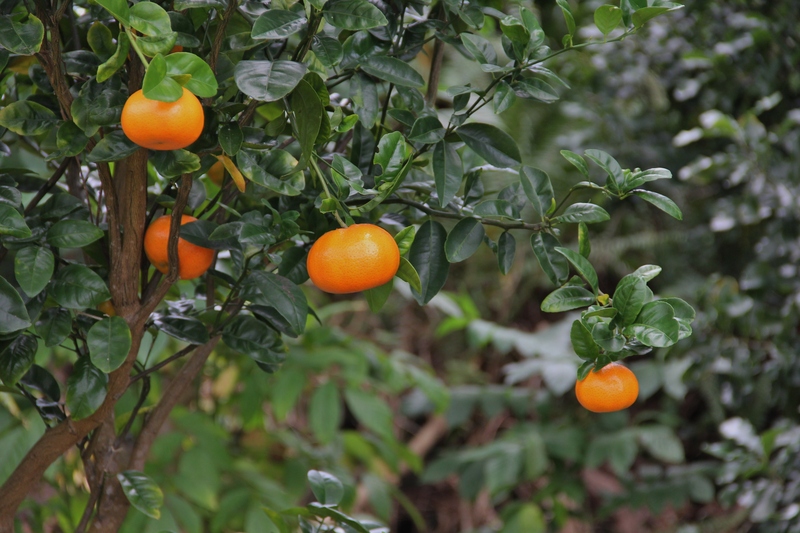 The tangerine like most fruits is ripe after a yearly cycle. 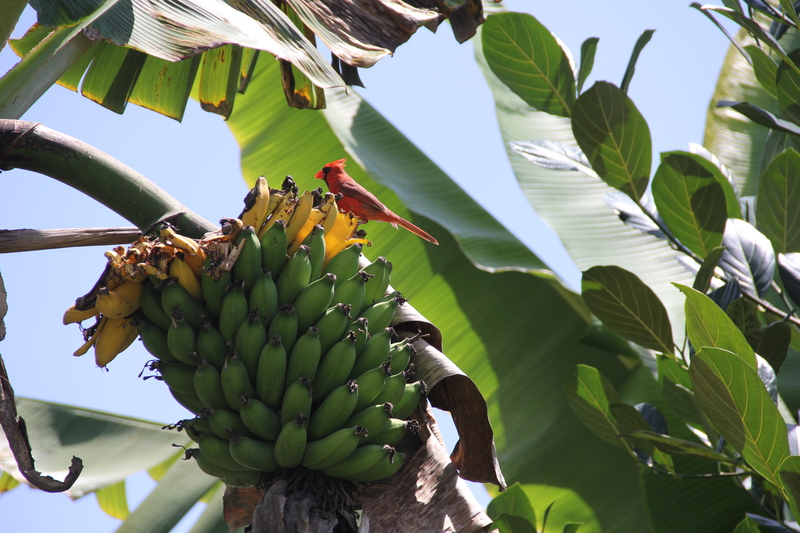 In Hawaii that cycle ends in the winter months at the end of the year when the fruit is ready to harvest. On the property where I live there are several trees. It is like a dream come true to walk across the yard, pluck a fresh tangerine, peel it and eat it fresh, right there. To select your fruit trees, plan thoroughly. Determine your goals, research which fruits do best in your environment and carefully choose the site location at your home. Be prepared for unintended consequences such as debris, leaf litter, fallen fruit and birds that are attracted to your trees. To be successful have patience. Perennial fruits do have rewards. Fruit trees restore the environment by cleaning the air, improving soil quality, preventing erosion, creating animal habitat, sustaining valuable water sources, and providing healthy nutrition. 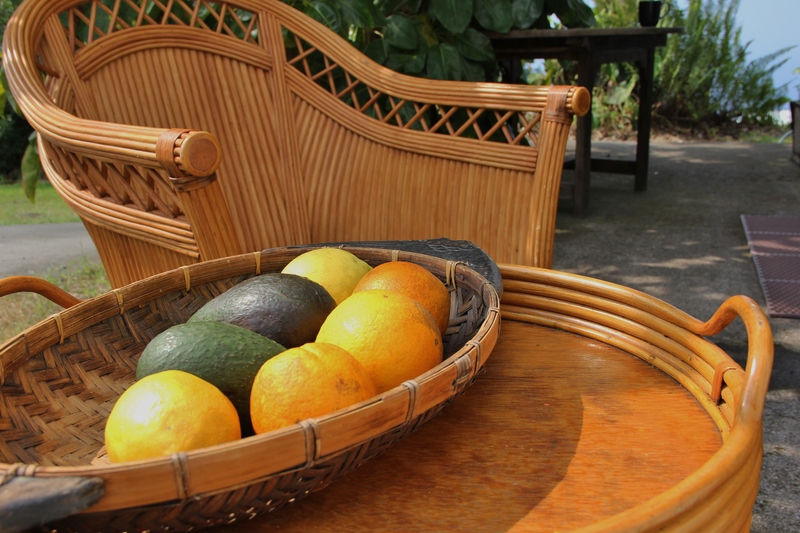 The freshest, tastiest, healthiest, safest, and most economical fruit you’ll ever eat can be grown in your own backyard. And that is smart gardening. This entry was posted in earth, farms, food, local economy and tagged flora, food, gardens, health, photography, sustainable. Bookmark the permalink. Eleven olives is a start anyhow, especially for the 1st year. Lemons awesome. Wishing you success and luck.